Double your patio sales with 80 more days of summer sales! Solar Café™ reduces greenhouse gas while patrons "chilax" outdoors- al fresco style. How easy is that? Double Patio Food Sales! 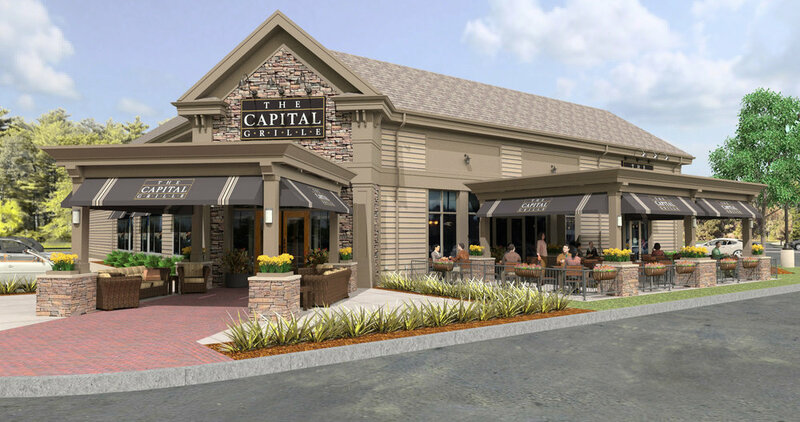 - Solar Café™ capitalizes on market trends in customer demand for al fresco dining options and the tremendous impact on sales growth. 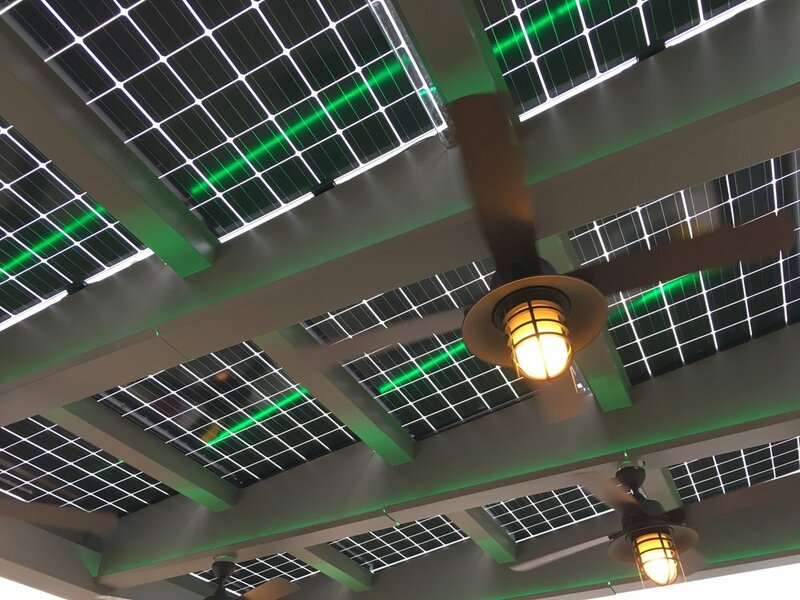 The company has developed an innovative Solar Powered Canopy that increases food sales for restaurant operators through increased patio utilization and tenant acquisition for multi-unit residential buildings. The Solar Café™ captures up to 80 lost days per season due to rain and uncomfortably cold and hot weather. By adding our rain-tight cover and solar powered heat and fans, restaurant operators have the potential to boost patio table turns by over 200%. Our solution - for a simple, low monthly payment we offer the Solar Café™. The Solar Café™ brings your outdoor dining experience to new levels, providing a head-turning, revenue-generating outdoor space that will get customers in the door, and keep them coming back. The Solar Café™ creates an architectural focal point. It is an aesthetically appealing patio structure that integrates solar electricity with a rain-tight canopy, providing partial shade and shelter from the rain. The Solar Cafe™ creates intrigue and curbside appeal that extends your brand and customer acquisition reach, ...all while reducing your electricity bill and providing your customers with the greatest outdoor dining experience they've ever enjoyed. Sky's The Limit - The Solar Café can be accessorized with lighting, fans, misting systems, heaters, branded blinds, screens and more, all powered by the sun. The Café is fully self-contained and installs overnight. In addition to reducing electricity expense with solar power it can take advantage of energy storage, battery backup power, peak shaving, load shifting, or off-grid power applications. Enjoy all the turn-key benefits for a simple, low monthly payment, while leaving all the complexities to us. The Solar Café™ extends your brand, creating curbside appeal that gets you noticed... all while spinning your electric meter backwards by producing carbon free electricity from the sun.